Debbie Bliss's first sock yarn showcases a wonderful range of colours blended to give a beautiful twist that creates a soft, tweedy stripe. There's plenty on each 100g ball for a pair of adult size socks. Of course the machinw washable merino/polyamide blend needn't just be used for socks....... shawls, gloves and other light weight accessories would be braw too. 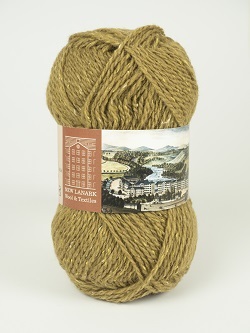 This is the world's best loved quality baby yarn. It is available in a fabulous colour range - both traditional and contemporary. Baby cashmerino looks and feels like a luxury yarn but is easy to wash and wear, making it baby and carer friendly. Lots of big babies love it too, it is a lovely weight between 4ply and double knitting and goes a long.long way. Manufatured in Italy from 100% organic and Fairtrade cotton. This soft and pure, orgainic cotton is kinder to the baby, to the environment and to the people who produce it. There are 16 sorbet shades in the colour pallette and there is a new ecobaby pattern book with 11 lovely designs to inspire you. 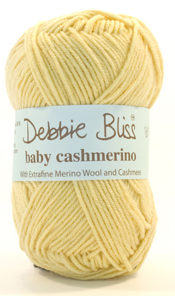 And the good news for Debbie Bliss fans is that ecobaby and Baby Cashmerino are interchangeable. 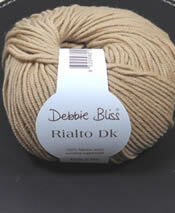 Debbie Bliss is Pure Cotton - a supersoft cotton, perfect for creating elegant simple styles. The colour palette reflects the softness of the yarn, with faded vintage shades that include oyster, pale pink and blue and a deep mulberry. 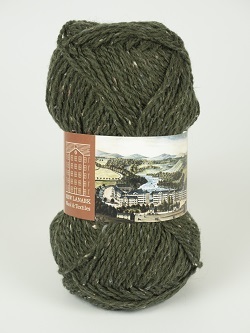 This is a standard double knitting yarn. 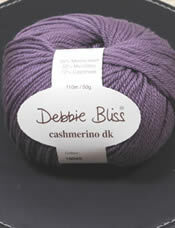 Classic double knitting weight weight in the ever popular cashmerino range - always a pleasure to work with. Debbie Bliss Rialto - extra fine merino DK from Debbie Bliss a beautiful, classic extra fine merino in a double knitting quality. 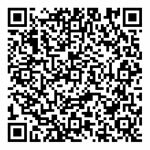 It is designed to be an all season's yarn - cool in summer and warm in winter. .